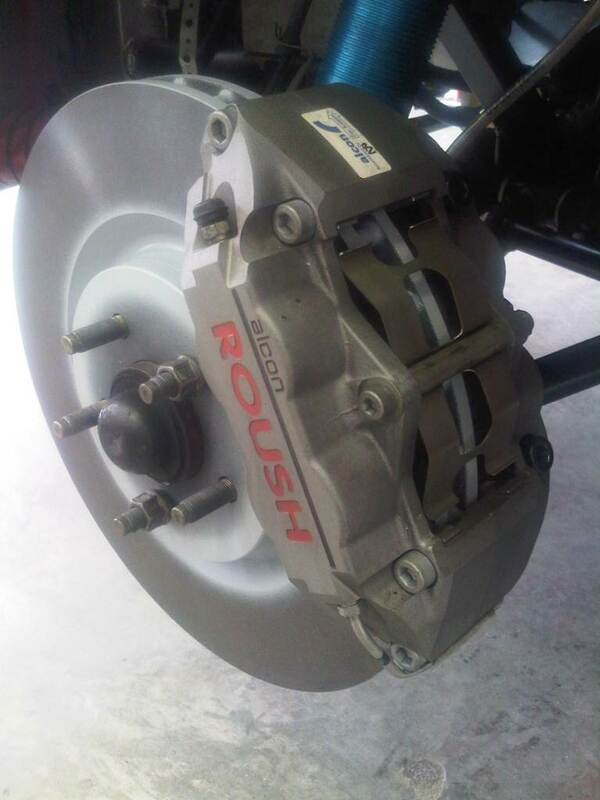 The Roush-Alcon brakes on the front of the car use a special 14 inch brake rotor designed by Roush and made by Alcon. 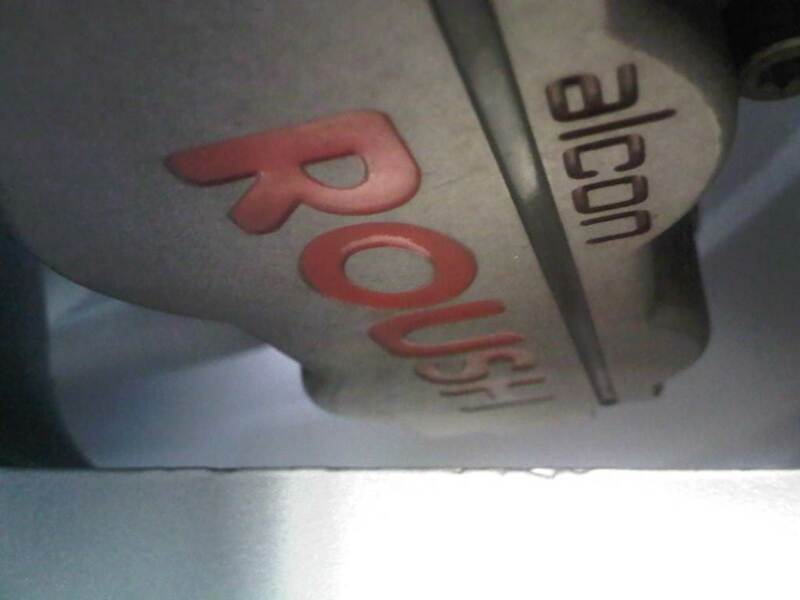 However Alcon stopped making the rotor many years ago and supplies of replacement rotors are now exhausted. 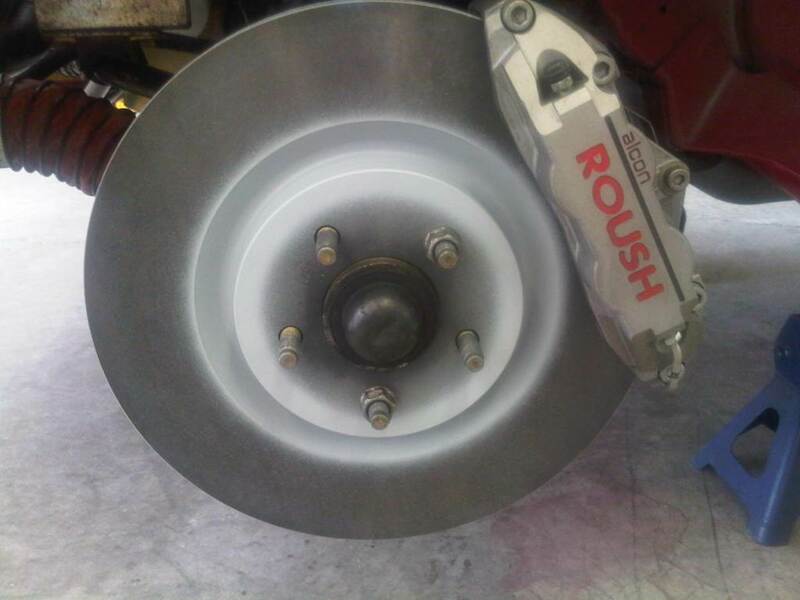 To remedy this, Roush Mustang supplier Stage 3 Motorsports got together with Baer Brakes to manufacture a slotted and drilled, 2pc rotor assembly to replace the one piece slotted design that Alcon used. 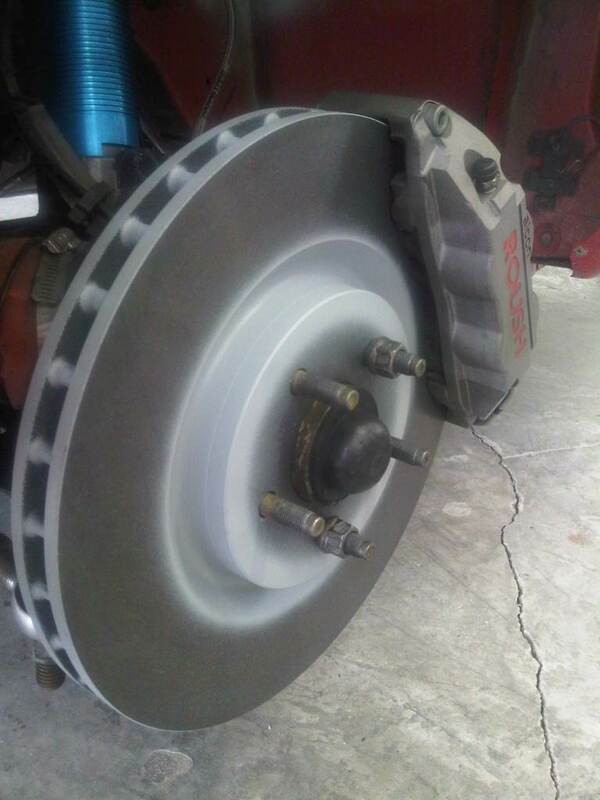 While these are nice rotors, they are $600 for the pair! 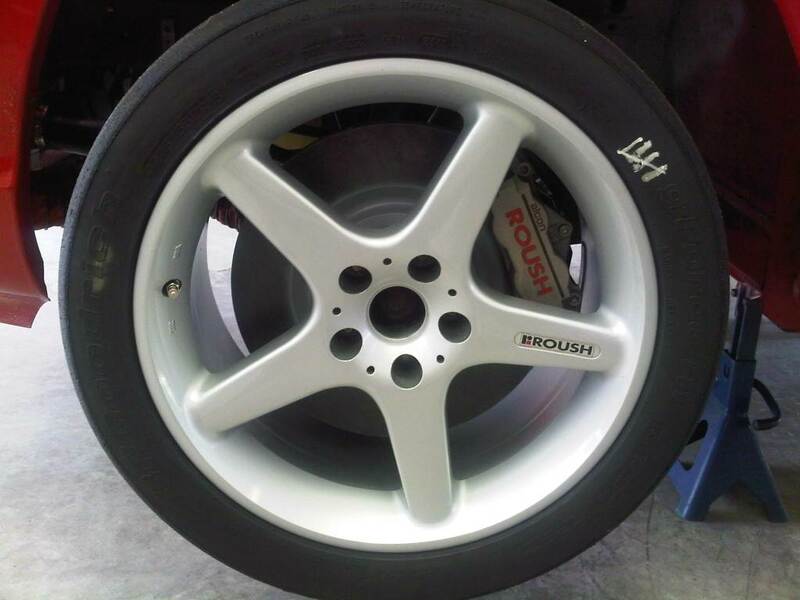 The Alcon rotors were only $240 for the pair when they were available. 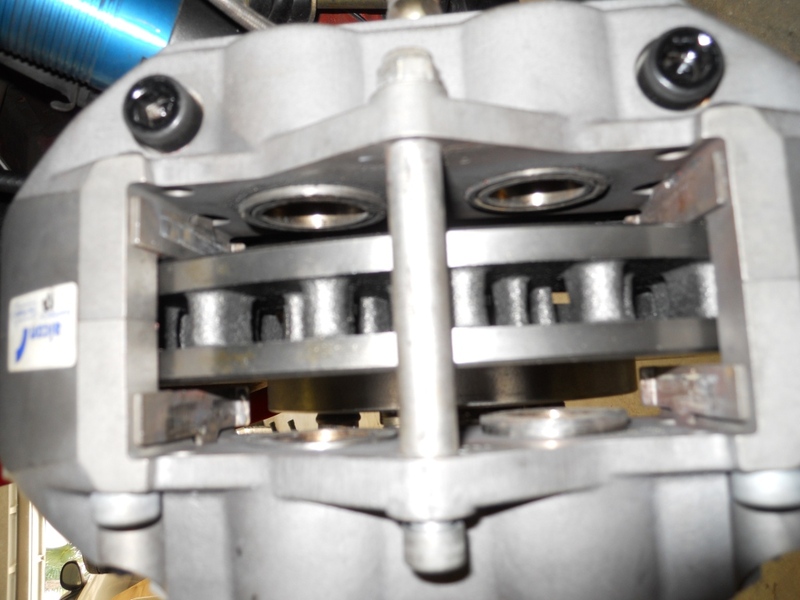 So I started to look for a cost-effective solution to the problem using a one piece rotor. When Shelby re-introduced the GT500 in 2007, they equipped it with a Brembo brake package that consisted of a 14 inch front rotor, just like the Roush-Alcon. I asked Frank at the Wayne Akers Fords parts department to bring in one of the replacement rotors for the car so I could compare it to the Alcon rotor. Upon comparing the two, they were very similar. 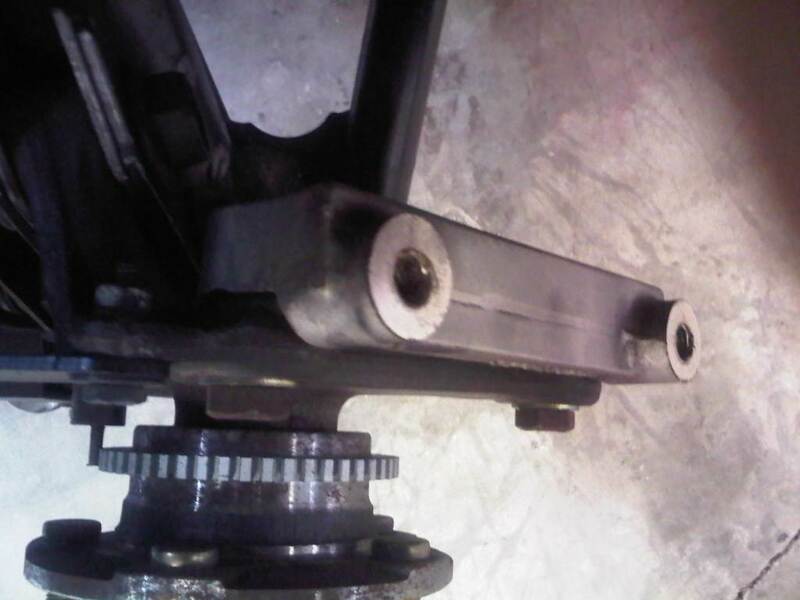 The only dimension that was different was the distance from the hub flange to the brake friction surfaces. The GT500 rotor sat slightly further outwards, by around two-tenths of an inch. That means my caliper would need to also be borough outwards the same distance. 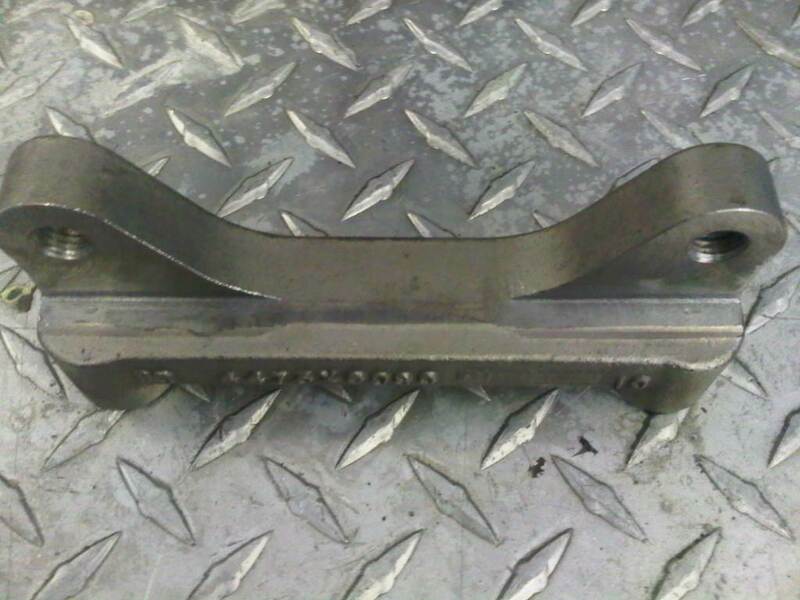 I returned home to see how the caliper mounting bracket was made and if it could be modified to fit the GT500 rotor. 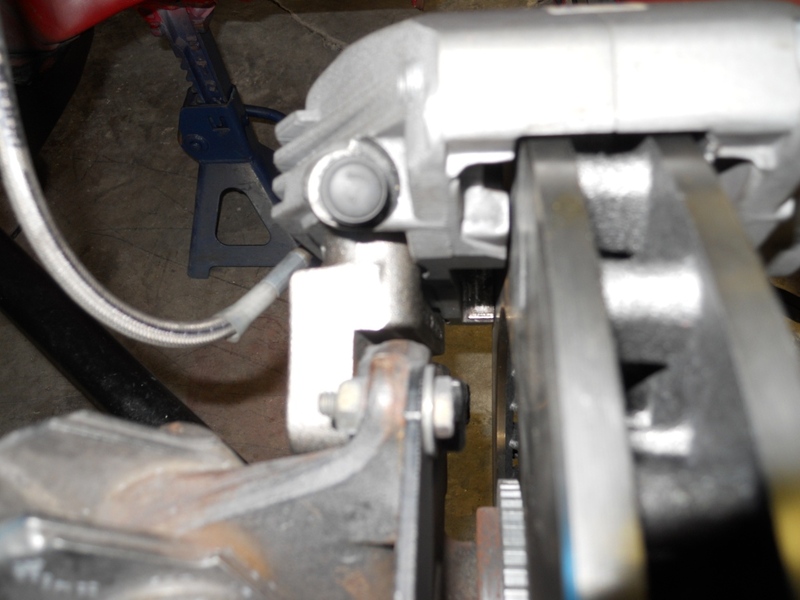 I had good news, not only was there enough material to modify it, but there was plenty of clearance between the caliper and the wheel to accommodate the new caliper position. 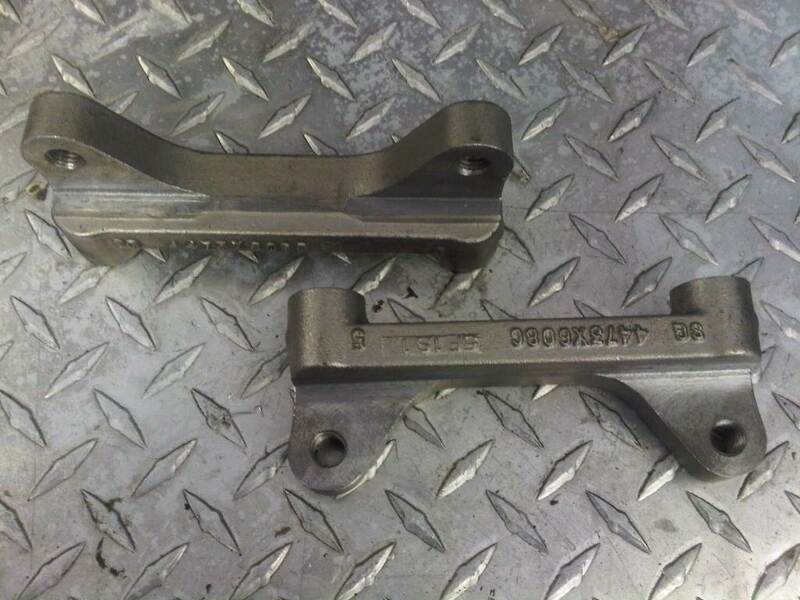 My next step was to ship a Alcon rotor, a GT500 rotor, and the mounting brackets to Buddy Hendricks of Florida Performance Machine in Sanford Fl (407-324-7223) so he could machine the brackets. After taking the measurements of the two rotors, Buddy determined that .179 thousands needed to be machined from the brackets. 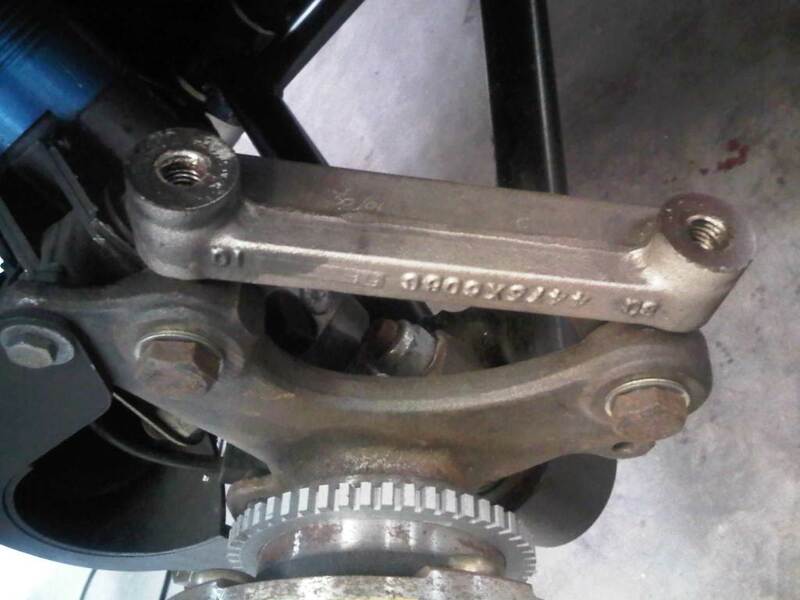 After getting the brackets and rotors back from Buddy, I mocked-up the brakes to determine how much, if any, shims would be needed between the bracket and the caliper mounts on the spindle. 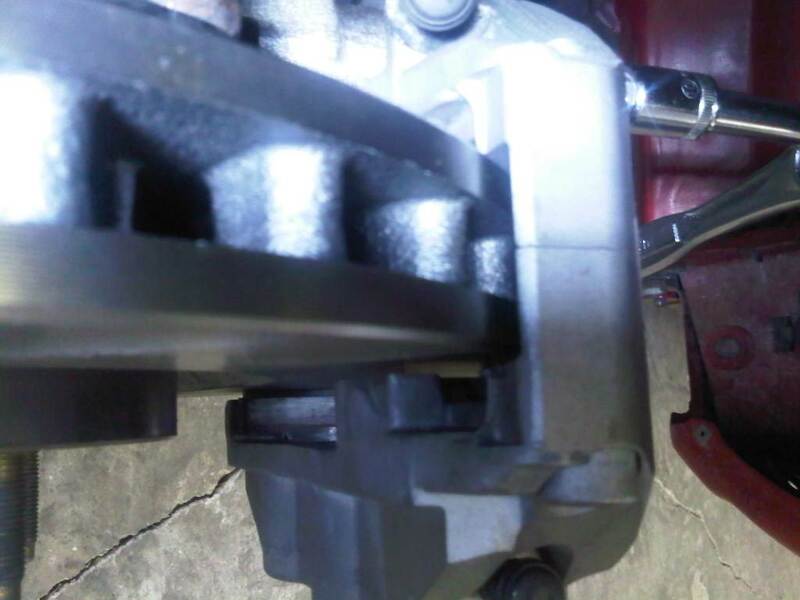 The shims are used to exactly center the caliper on the rotor, as the caliper is a fixed mount, rather than a floating mount like the factory Cobra PBR calipers. For the mock-up, I was using a Chinese-made Everlast rotor I picked-up at Advanced Auto Parts. These were for mock-up only, as I was waiting on a set of Brembo rotors to be delivered to Wayne Akers Ford. 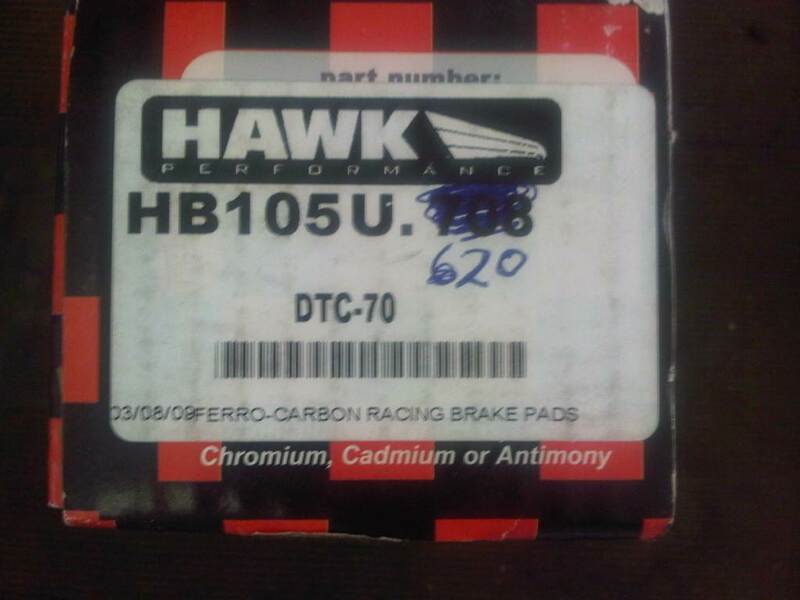 Once those arrived, I was able to complete the installation, using loctite on the fasteners and installing a new set of Hawk DTC70 brake pads. 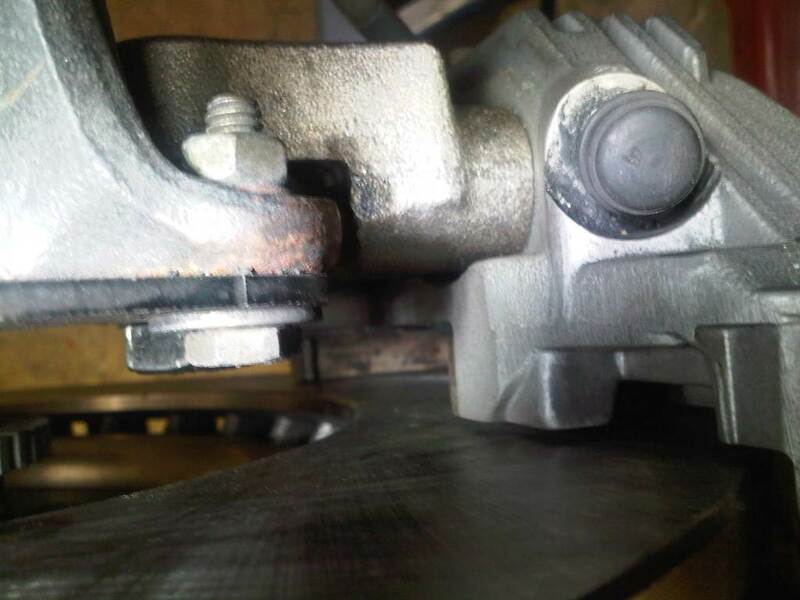 The final step was to double-check the clearance between the face of the caliper and the back of the wheel spoke. There is plenty of room.